I decided to compile a list of reasons why England would thrive as an independent country, and how independence would benefit the people of England and the English economy as a whole. I was born in Scotland, but I have an English mother, and so half of my family are from the north of England. And I do believe there are compelling reasons as to why the working class majority in England could find themselves better off, with true independence for the four nations that make up the United Kingdom. 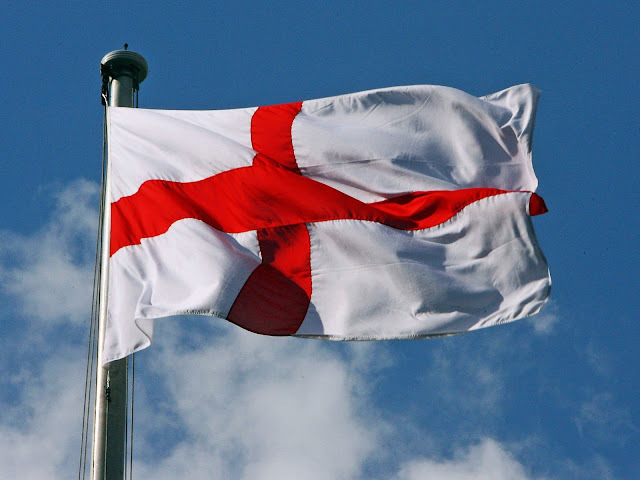 There is of course an English independence movement already, but for some reason, it has yet to capture the imagination of the people of England. Perhaps now is the time that this issue should be discussed, as it would clear up a lot of issues that are affecting us right now. Here's my top ten reasons why England urgently needs independence. 1. More accountability on a local level, so more focus on England's dying towns and cities, so often ignored because of too much focus on dealing with UK wide matters. 2. Get the government England votes for every time - no more having other parts of the UK becoming kingmakers in General elections. Take back control of English affairs, without interference from devolved nations. 3. No interference from other parts of the UK in England's constitutional matters. Other regions of the UK can sway referendums or public opinion, and leave England with constitutional changes that it doesn't want. 4. A chance to regain England's cultural identity, which has been sidelined by the UK Government's obsession with UK branding, resulting in English produce not being branded as English. 5 Stop paying to run devolved parliaments. Currently people in England are paying towards the running costs of 4 different governments, the Westminster parliament, the Scottish parliament, the Welsh Assembly, and the Northern Irish assembly and paying the wages of local politicians in other devolved nations, as well as the UK wide MPs. The massive savings that could be made can be spent on the NHS or increasing the state pension. 6. A focus on local English issues, means less time taken up discussing the affairs of the devolved nations, which already have their own parliaments anyway. This means a clearer focus on issues affecting England, and English towns and cities. 7. Smaller government means more accountability, meaning England's MPs will be held to account more for their actions on a local level, and will result in fairer social policy. 8. Save a lot of time and energy which is wasted discussing issues such as united Ireland, independence movements in Scotland and Wales - valuable time that could be used to discuss rebuilding a better, stronger England. The money spent on funding referendums on these matters costs England a lot of wasted time and energy and money. It would also allow those devolved nations the opportunity to focus entirely on their own affairs, and we would all benefit as a result. 9. A chance for England to take it's place on the world stage with it's own identity, and a potential tourism boom as a result. 10. A clearer focus on making the whole of England a successful, strong economy and a better place to live with better social policy, decided on a local level - and removing all of the focus from just London. Lots of government buildings and government jobs that are displaced around the United Kingdom will have to set up home in England, meaning a government jobs boom for English cities. So that's my top ten reasons why England should become an independent country, but of course, there are probably hundreds more reasons that I haven't listed. Breaking up is hard to do, but sometimes it's for the best. Brexit has made it clear that different parts of the UK want different things, and very often, parts of the UK have massive constitutional changes forced upon them against their will - such as Northern Ireland politicians becoming king makers in the last general election, which resulted in chaotic governance for every nation around the UK. It's time that everyone in the UK realised, firstly that the political system in the UK has become such a mess that we need radical reform, and that true devolution through independence is the only way that we can localise issues and save time and energy trying to get involved in each other's affairs.